A new report says Apple’s second-generation AirPods are being readied for a release later this year. The new wireless earbuds will look similar to the current model, but will feature improved audio performance a special matte coating to enhance grip. The report also claims Apple’s long-delayed AirPower charging pad will launch this Spring. Rumor site MySmartPrice claims one of its “trusted sources” say the AirPods 2 wireless earbuds will offer improved bass response, due to improved internals. Those improved internals will come at a cost, as the site believes the second-generation earbuds will cost around $200, which is $40 more than the current price. The earbuds and their case will boast a special matte coating intended to improve the user’s grip, similar to the one Google uses for its Pixel 3 smartphone. The new earbuds will be available in both black and white. The new AirPods are also said to feature health monitoring features, including heart rate monitoring. Battery life is expected to be similar to the current model. While the MySmartPrice report does not mention a launch date for the second-generation AirPods, DigiTimes this morning repeats a previously reported launch window of the first half of this year. 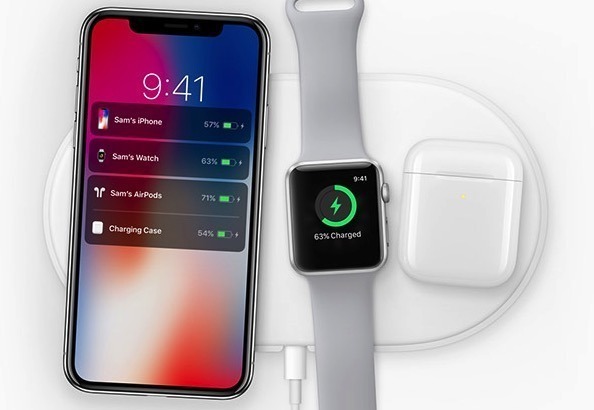 The MySmartPrice report also claims Apple’s much-delayed AirPower wireless charging pad will finally hit shelves this Spring and be thicker than originally planned, thanks to an internal 8-7-7 coil configuration. Apple will also release a standalone AirPods case that can be used with first-generation AirPods to enable wireless charging. As is usual, take all of the above information with a grain of your favorite salt-free seasoning.